A pharmaceutical and biotech physician/executive with experience ranging from “top 20” pharma companies to micro-cap biotech. He has worked throughout the development cycle (pre-clinical through phase III) leading matrixed development teams. He has also run a medical affairs organization and a global clinical operations group of more than 250 employees and contractors. Over the course of his career, Mark has interfaced with US and ex-US regulatory agencies on pre-IND through NDA/BLA discussions. His additional experience includes working with Business Development (evaluating assets and preparing a private pharma company for acquisition) and working on major integrations. He has been an officer at a micro-cap pharmaceutical company managing all aspects of pre-clinical development for two assets approaching Phase 1. In this capacity, he managed a virtual team of consultants and vendors and interfaced with academic leaders, board members, and the investment community. Mark is currently CMO at Avillion LLP and President of its US affiliate Aviation US inc. 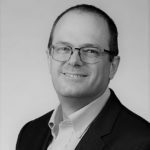 Prior to joining Avillion, Mark was CMO and Managing Director with the Halloran Consulting Group and before that was Senior Vice President of Clinical Development at RestorGenex Pharmaceuticals. He came to RestorGenex from Astellas Pharma where he was Vice President, Global Clinical Science and had also served as the Global Therapeutic Area Head, CNS and Pain. Previously, Mark was VP, Medical Strategy and Medical Affairs at Lundbeck Inc. (formerly Ovation Pharmaceuticals). He also held roles of increasing responsibility at Takeda Global Research and Development and Abbott Laboratories. He has worked in several therapeutic areas during his career including oncology, immunology, CNS, ophthalmology, dermatology, pain, hematology, rheumatology, and women’s health. Mark earned his MD from Duke and remained there to complete a residency in internal medicine. He also holds an MBA from the Kellogg Business School and a BA in economics from Yale University.